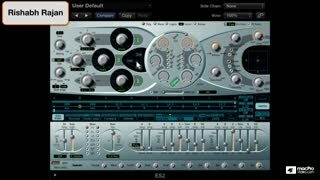 Presets are easy... and that’s why everybody overuses them! This course, created by producer Rishabh Rajan, focuses on designing the intricate timbres you need to make your original tracks rich, powerful and, better yet, uniquely yours! This ES2 Sound Design Workshop is specifically designed to wean you away from the ES2’s presets and to get you deeply involved in designing your own signature library of unique instruments. Rishabh takes you deep into the sonic properties of every synth family of production sounds. From leads and pads to vector-driven grooves, you get proficient with all the parameters of the ES2 which are the essential ingredients of these iconic pop and dance timbres. So if you're looking to expand your sonic vocabulary and make your tracks stand out in a crowd, roll up your sleeves, watch this course and start building your personal library of ES2 originals! Awesome course - one of the best (and I've watched a lot of courses here). Really opened my eyes to what a great synth ES2 is when you know how to use it. Rishabh really knows his stuff. This course is eye-opening. By constructing different sounds, you learn general principals of picking oscillators, adjusting the filter, how to create an attack, and more. You also learn how to create a lot of special effects. I feel like I really understand sound design. Thanks for the course! We have so many plugin synth in the market, having gorgeous possibilities. 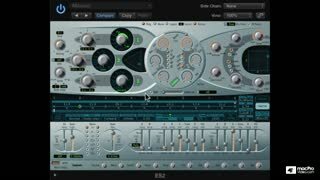 But mastering basics and application technique, we can make the sounds we want to achieve without supplemental money to buy that plugins. They also need same understandings of this course provide us. Tired of the same old sounds? Would you like to try something more original or would you like to add your own expression to pre-existing sounds? Try this course. It's very useful. I found quite captivating. I highly recommend it to get your creative juice flowing. I see so much potential in the ES2. Super tutorial! I've learn a lot about sound design in general, but I learned that ES2 is a very powerful out of the box tool. Nice one, Raj! 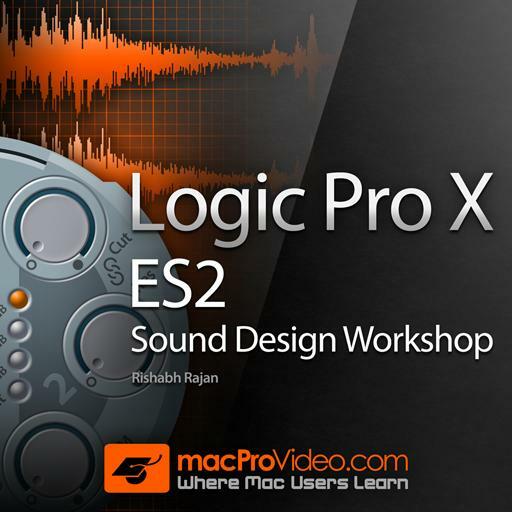 Great synthesis tutorial by Rishabh Rajan in Logic Pro's mighty ES2 synthesiser! 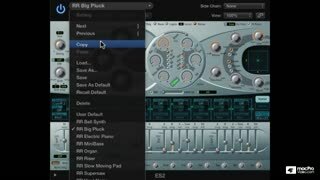 Rishabh demonstrates how to create bread and butter dance music patches, as well as techniques to overcome some of the ES2's quirks! Super informative and practical course. I really like that some of the most basic synth sounds are being constructed in the tutorials. It's a great supplementary course to the ES2 exposed. I really enjoyed this course! Hope to see one like this for Ultrabeat! Another fantastic ES2 course. 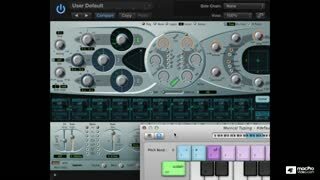 It's amazing how powerful Logic's plugins are. The fun thing about this course is, if you focus on the theory behind the creation of each of the sounds, it can be applied to the other stand alone subtractive synths with FM and wavetable synthesis.